Welcome to our last “Inside the Enemy Ship” of the 2015, where we will be talking about the Pirate’s last game of 2015, against the Marquette Golden Eagles on December 30th in Milwaukee. We had the pleasure of speaking to a Mr. Jack Goods, a Marquette student who not only covers Marquette athletics, but the Milwaukee Bucks, and every team in the wintry tundra of Buffalo as well. He was king enough to spend some time talking to us about the upcoming game. BBA: When the season started, where did you see the Golden Eagles season going? GOODS: The expectations were a bit mixed coming into the season. Head coach Steve Wojciechowski landed a top-ten recruiting class, but we knew those players would be thrown into a tough position immediately. I felt they would finish somewhere around the middle of the conference, would squeak into the tournament but would fall in the first round. I was one of the most pessimistic on our staff. BBA: What do you think of the Golden Eagles (as of time of writing) 8-2 record? GOODS: Marquette scheduled some of the worst teams in college basketball, so you have to take the 8-2 record with a grain of salt. The Golden Eagles have played four teams in the 300s in KenPom, and will play one more when they face Stetson in the middle of the conference season. They are a difficult team to figure out, likely due to that youth. They’ve been blowing out a lot of these lower ranked teams, yet still show signs of struggle when it comes to shooting and turnovers. I’d say this team has issues playing down to their competition, which should change once conference play starts. GOODS: “This one is pretty obvious, as freshman power forward Henry Ellenson was ESPN’s fifth overall recruit for a reason. He’s got six double-doubles in Marquette’s 11 games, and has the overall talent to really dominate. He’s strong in the paint, can run the floor like a guard, can shoot the midrange and has some outside ability (although he hasn’t been very consistent from three-point range). Ellenson is the type of player that is just efficient, even during his worst games. You’ll look down at the stats, and realize he already has 15 points without doing anything too flashy. Henry is the best recruit Marquette has landed since Doc Rivers, and he’s expected to be a top 10 pick in next year’s NBA draft if he decides to leave. With a young guard unit, the offense runs through him and redshirt junior center Luke Fischer. If Seton Hall wins the battle in the paint, it will be tough for Marquette to win. BBA: Do you think the Golden Eagles should be ranked as of now? GOODS: I don’t think Marquette should be near the Top 25 right now, because they haven’t really proved anything. The Golden Eagles best wins aren’t exactly groundbreaking. Wisconsin isn’t the team they were last year, and had lost a couple nights before to UW-Milwaukee. LSU looked like a good win at the time, but the Ben Simmons led Tigers have sputtered since then. Arizona State is No. 51 in the KenPom as of Monday night. Big losses to Belmont and Iowa to open the season will keep Marquette out of the Top 25 until BIG EAST play, despite the Golden Eagles getting one vote in last week’s media poll. BBA: How do you view the Wisconsin Badgers? GOODS: Wisconsin has gotten a lot of attention the past two years since they’ve been more successful than Marquette. The state as a whole likely has a closer connection to the Badgers because Wisconsin is a public school. Anyone who went to a Wisconsin state school feels they have a personal connection to the mothership of the system. That being said, there are a lot of people who are Marquette and Wisconsin fans too. 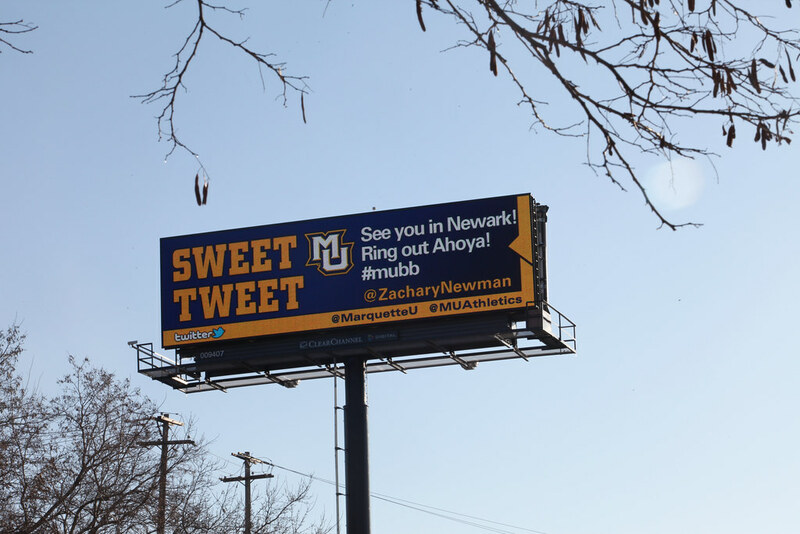 When the Golden Eagles are successful, you see at least Milwaukee as a whole get behind them. BBA: Where do you see the Golden Eagles in the overall Big East hierarchy? GOODS: Marquette isn’t on the same level as Villanova and Georgetown, but it is certainly one of the more historic basketball programs in the BIG EAST. National title in 1977, three final four appearances, 31 tournament appearances and the school has arguably three of the top ten shooting guards in the NBA in Dwyane Wade, Jimmy Butler and Wesley Matthews. That’s a pretty good resume. They are probably in the second tier of the conference in history, and minus the last two years have been a shoe-in to make the tournament. Once again, big thank you again goes to Jack Goods, who can be found on Twitter @GoodsOnSports and on his website http://jackgoods.weebly.com/. Jack is a truly gifted journalist, and we encourage all our readers to check out some of the amazing stuff he has written. The Pirates take on the Golden Eagles in Milwaukee at 7 PM on Fox Sports 1. As always, Hazard Zet Forward.